Update: Gameloft has issued a response, please scroll down for updates. Mobile gaming powerhouse Gameloft has been accused of baiting and switching Android gamers with its title ‘The Adventures of Tintin HD‘, after users downloaded the game only to find that the 3D world they were expecting was actually a 2D, almost 8-bit experience. Kuwaiti blog Kuwaitful noticed the inconsistency after buying the game and finding that despite the lavish textured graphics and in-game shots displayed on the Android Market, the game resembled a “Gameboy Color 2D pixelated game”. 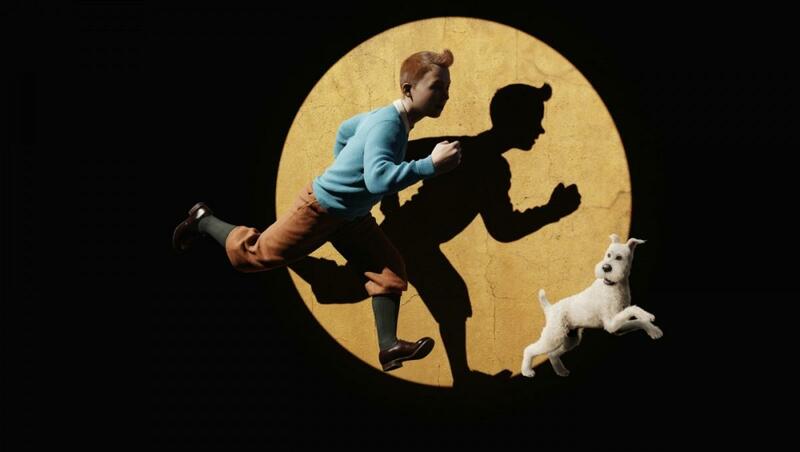 The Tintin title is currently part of a Gameloft promotion which has seen all of its Android games reduced to $0.99/£0.69 and is displayed on the carousel on the front page of the Android Market, ensuring the publisher’s titles are experiencing a rise in visits and almost certainly downloads. The gaming experience is obviously quite different. 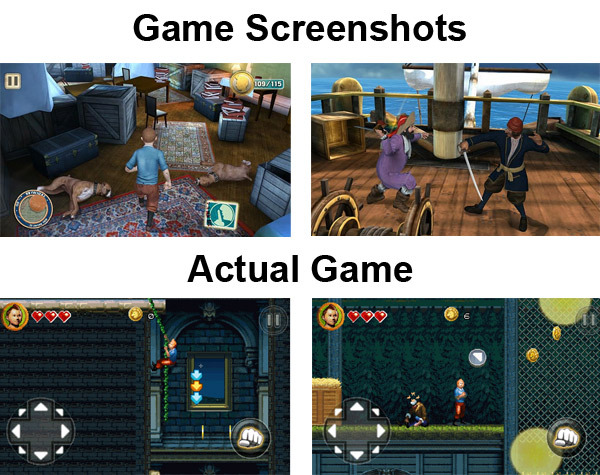 The graphics and content of the game may vary according to the phone model. But what it doesn’t do is provide an explanation of what models are affected by the graphical and content changes, nor does it display a screenshot of the 2D platform alternative on the Android Market, leaving many users in the dark and leading to accusations that the company has use ‘bait and switch’ tactics. It appears that the issue is caused by Google’s latest Android update, Ice Cream Sandwich. A large percentage of users that are experiencing problems are using a Galaxy Nexus handset or have updated their Nexus S to the latest Android firmware. Running the game on an Ice Cream Sandwich-powered smartphone or tablet immediately reverts to the 2D version and in some cases crashing. Google has yet to update its web-based Android Market portal to recognise Ice Cream Sandwich capable devices, hence the lack of a handset name in the reviews embedded above. However, Sony Ericsson Xperia X10 and HTC Flyer owners have experienced the alternate gaming experience when running the game on Gingerbread and Honeycomb devices. We have reached out to Gameloft but have yet to receive a reply. We understand that whilst the company does provide a caveat, it does not go far enough to explain what will happen should they have an unsupported device. We will update the article should we receive a response. We recently learned that some customers who wanted to download our game, The Adventures of Tintin, on the Android Market didn’t receive the correct version for their phone or tablet. Specifically, those who have the Ice Cream Sandwich OS installed on their device were getting the 2D version of the game instead of the 3D version. In addition, there were some devices that we wanted to black list from downloading any version of the game because it wasn’t optimised (or simply not compatible) for those devices. However, due to an error in the black list submission process, some customers were still able to download the 2D version. We are already working on solutions for everyone affected by this. Those whose devices are listed below need not worry; an update will be made available soon that will let them play the optimal 3D version of the game for their phone or tablet. Those whose devices are not listed below can receive a full refund by contacting support@gameloft.com. Just provide us with the Google Order Number of the purchase (you can find this on your email receipt or by checking your Google Wallet: http://bit.ly/sx9X07). [This is] to ensure there is no longer confusion between which version of the game you might be getting (this will include screenshots and video to match each version). People who have the 2D version and who want to be reimbursed (even if they have a low-end phone) can contact us.